So, the MSC (the body responsible for the sustainable fish labelling system) has granted certification to some controversial fisheries, including the Ross Sea Antarctic toothfish fishery. This is seen as a premature decision by some scientists and members of industry – and Greenpeace isn’t happy about it either. 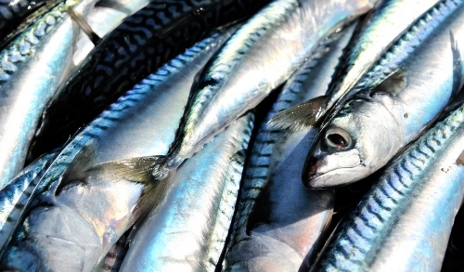 It’s hardly new to hear people disagreeing about fish stock levels, but it isn’t often that the MSC – a widely respected organisation – comes in for such strong criticism. It also leaves consumers in a bit of a pickle. Last year when we looked at sustainable fish labelling, we found seven labels relating to sustainability. But a third of the people we surveyed didn’t recognise any of them, 40% didn’t think labels gave enough information to buy sustainably at all, and a whopping 80% said supermarkets should only sell sustainable fish. Full. Stop. Of the labels we looked at, the MSC was independent and the most comprehensive and widely spread, and we applauded retailers who were working closely with them. We called for them all to move to the MSC or equivalent standards, and ensure a consistent approach. It still is the best of the lot, but reports like this undermine its credibility. A representative of the MSC has responded, insisting its methods were scientifically robust, but acknowledging that its test of sustainability weren’t enough for some of its critics. Do you buy into sustainable fish? So what do you make of all this – do you trust labels like the MSC despite criticisms? Or do you instead stick to certain types of seafood that are safer? Maybe we need to stay away from fish entirely – but that flies in the face of health advice that we need to eat more, not less, fish. And where would that leave the industry – not to mention a staple of the British diet? Plus, we haven’t even talked about the ecological impacts of fish farming, GM salmon, bycatch and waste, or the presence of heavy metals in oily fish – all subjects far too complex for me to even attempt to cover in one post. Here’s where I stand. When I purchase fish, I stay away from certain species that I know are threatened, like Monkfish and Dover Sole. I do buy organic-farmed salmon and prawns and rope-grown mussels, but I steer clear of trawled fish. When I choose tinned tuna I look for ‘pole and line caught’, not just ‘line caught’ or ‘dolphin-friendly’ which are limited in scope. As for the MSC label, if I’m faced with the choice between a product that’s MSC-certified and one that isn’t, I’ll still choose MSC. But I’m all too aware that that doesn’t answer Greenpeace’s criticisms. In general I agree with you – But the overall sea fishing system is completely stupid – from throwing back already caught fish (now dead) so they don’t count in your quota – to fishing “in the name” of Science as in Wales. What is required is an international maritime force to enforce proper fishing standards – I don’t think the few “abstainers” are enough. Pollacks, as Sole Director for the Blobfish Marketing Board I think the Greenpeace claims are a load of codswallop – there’s no plaice for this kind of fin. Any op-perch-tuna-ty for a bit of self-publicity. But I need to examine the facts and mullet over. Congrats Fat Sam, you gave us a good giggle with your fish puns and have thus made it to be our Comment of the Week! You’ll find your comment featured on the Which? Convo homepage for a full seven days. the one person who ‘disagreed’ (quite what they disagreed about I have no idea 🙂 ) must be as miserable as my blobfish. that’s actually very sad. – The MSC is a not-for-profit organisation. We do not receive any money from the assessment process or fishery certifications. – Every assessment is transparent and inclusive i.e. every report is freely published and the certification bodies actively seek information on each fishery and its environmental impact from other stakeholders. – The assessment report of every certification is peer-reviewed by other independent scientists. – Alaska pollock stocks are rebounding as a result of their strong management. This year’s quota is set for just under 1.3 million tonnes. – The MSC certified krill fishery has very precautionary catch levels and has special measures in place to prevent localised depletion of krill. The krill fishery is very low impact and catches less than 1% of the total krill stock each year. Krill fishing has taken place under this framework (operated by CCAMLR) since 1981 with krill fishing dating back to the 1960s. – Ross Sea toothfish is a robust and sustainable, commercial fishery with a strict management regime implemented by CCAMLR. With robust information about stock levels and yield it is a well-managed fishery. The certified fishery catches around 3,000 tonnes a year – a very precautionary quota – and has 100% observer coverage. Thank you to the MSC for their response, it would be great to hear from Greenpeace too. Is this really any different a concept from domesticated cattle being bred for slaughter? Basically – Yes. Most fishing is not sustainable – whereas all edible domestic animals are sustainable – from dogs to chickens and beef. Most fishing has no effective control anywhere – except fish farms.and the amount of anti-biotics and pesticides used there are horrendous. The fish stocks are as unsustainable as lions tigers and rhino – greater encroachment – greater pollution – greater killing – It is why species become extinct – 50% of Butterflies species here are now extinct – no wonder bird populations are being decimated. If we restricted all fish supplies to fish Farms – I wouldn’t be so disgusted – but we don’t. Interesting the EU has now drawn up plans to end over-quota fishing – basically on the lines I drew up on the first post, except I had forgotten on board supervision can be by remote devices not just supervisors on board. Here’s hoping the controls will stop over-fishing. Otherwise fish will be a rarity. SustainABLE is not the same as sustainED. Most natural products we harvest are in principle sustainable – if we restrict the take and the collateral damage to what the ecosystem can replace. In practice we usually do not, so the resource harvested is not sustained in the longer term, even though it could be. Most labelling quotes sustainable without mentioning if it is in facted sustained.